Have you seen the Ukalope? The band. Check it out! "Jumpin" Jim Beloff's site. A ton of cool Ukulele stuff! Flukes, books, links and more! Go get a Fluke, you won't be sorry! a swell guy, and a nifty artist to boot! My Comic strip. Ukulele Playing, cocktail drinking, crime solving lizard. Humorous hard boiled detective stories with a twist! 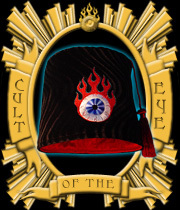 where you can get a cool custom fez of your own! A Japanese Ukulele page. here you'll find out that "The ukulele sound is never interrupt your talking of business s and whisper of lovers. Ukulele is only staying here." The UCoSC. Hosts of "Uke Fest West" This is the club I am in. Did I tell you that we rule? well, we do. More Tiki Talk than you can shake a Mai-Tai at. Quite frankly, James has put a new definition on the word "excellence"
Listen to him perform, and when you recover, buy his CD. Obscure, Naughty & Lovely songs from the 1910s, 20s and 30s. As charming as she is talented! you need Tiki Mugs? yes you do! Tell 'em Tiki King sent you! Tony Graziano's site. Simply put, Tony Graziano builds awesome Ukuleles. Do yourself a favor, check it out. Aside from being an enchanting performer, Michelle is also a Ukulele Teacher. Check it out! A site devoted to the Banjo Uke. Whether you call it banjo uke, banjo ukelele, banjolele, or banjulele, you'll find lots of information and pictures here. Neat! Richard Hefner's instructional site for banjo (bluegrass & clawhammer), folk guitar, and ukulele. Hundreds of pages of tablature, tutorials, and more to make your learning experience an enjoyable one. Articles, interviews, rare photos, reviews and instruction centered around everyone's favorite instrument. Crazy Good Tiki carvings from an Adz wielding maniac! I don't know what has more energy, Al's carvings or his dancing! Check it out, and tell 'em Tiki King sent you! Ralph Shaw , AKA "King of the Ukulele" is the creator of the acclaimed teaching video: The Complete Ukulele Course. Ralph is an avid ukulele performer and teaches Ukulele currently in Canada.